Welcome to the Hawaii Flute Society! We truly are Hawaii's Flute 'Ohana, an organization where flutists of all ages and abilities can gather to celebrate flute music amidst the beauty of our islands. We invite you to join us at one of our many events which include flute choir rehearsals, masterclasses, lectures and public concerts. To keep current with our activities, please consider signing up for our free email newsletter. Our 2019 Flute Festival, “Around the World",” is March 25-31. Get involved in Hawaii’s vibrant flute community by becoming a member of the Hawaii Flute Society. Adult, student and corporate memberships are available. Tickets, HFS Merchandise and more! Part of the Hawaii Flute Society’s mission is to foster greater camaraderie between Hawaii’s flutists of all ages and abilities. 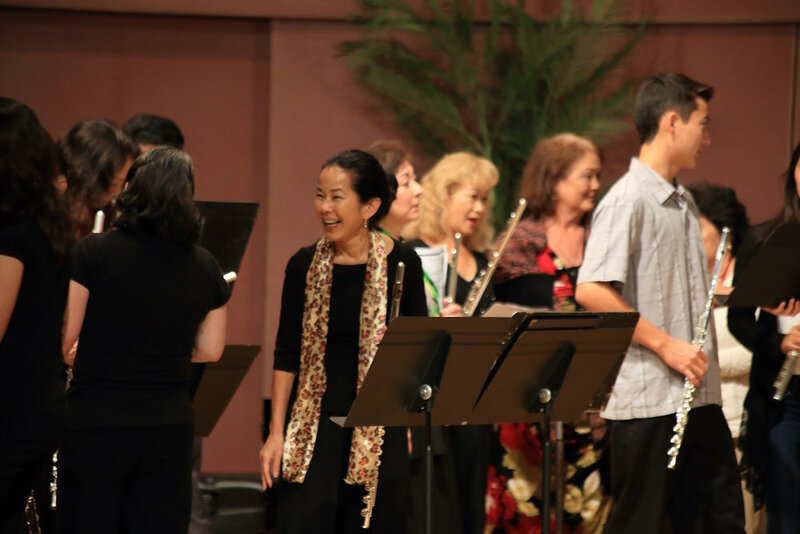 HFS creates opportunities for expression and growth for our local flutists while exposing the greater Hawaii community to the beauty of flute music. The Hawaii Flute Society aims to nurture the talents of Hawaii’s flutists of all ages and abilities while promoting the live performance of flute music. Our concert series creates more opportunities for our local flutists to perform as soloists, in chamber ensembles and as a part of our Hawaii Flute Choir. The Hawaii Flute Society is committed to providing a safe and nurturing environment where local student flutists can grow and flourish. Our programs for students include Junior Flute Ensemble, an outreach program that brings flute music to our public schools and educational events such as flute masterclasses and workshops.